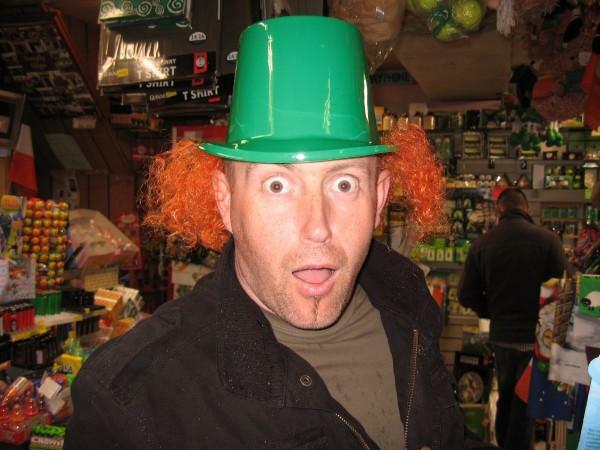 Some of you may remember Barry Fitzgerald from Syfy’s Ghost Hunters International. If you lament the cancellation of that show and miss Barry, you may be happy to learn that he is working on a book about the legendary Banshee. 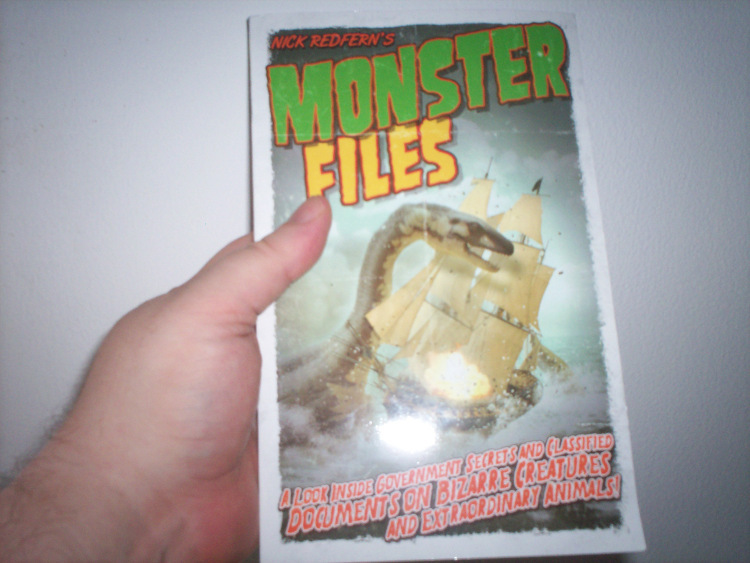 Now, for the first time, the full, fearsome facts are finally revealed in Nick Redfern’s Monster Files. You’ll discover all the amazing cryptozoological truths, conspiracies, and cover-ups behind the secret studies by the Pentagon, the Kremlin, and the British military, among many others. I’ll try to shoot a clip of me thumbing through the pages before the book comes out. Looks like another fine book from Redfern! I have rolled the dice and the grand-prize winner of the “Risen” and “Bones” giveaway is Debby Reagan from Maine. My winner of a copy of “Bones” went to Victoria of Pennsylvania! I’ve emailed the winners and copied and pasted the mailing addresses of the winners to Elizabeth Watasin. I want to thank everyone who entered the contest, it was a blast. Of course, major thanks to Elizabeth Watasin for donating the prizes. I loved all of the comments about the skull in the picture.No, I don’t own one even though I used the picture of it in my banner last year. I’ll provide a link in my side-bar to Amazon where you can purchase one. I think H.G. Wells would love it. 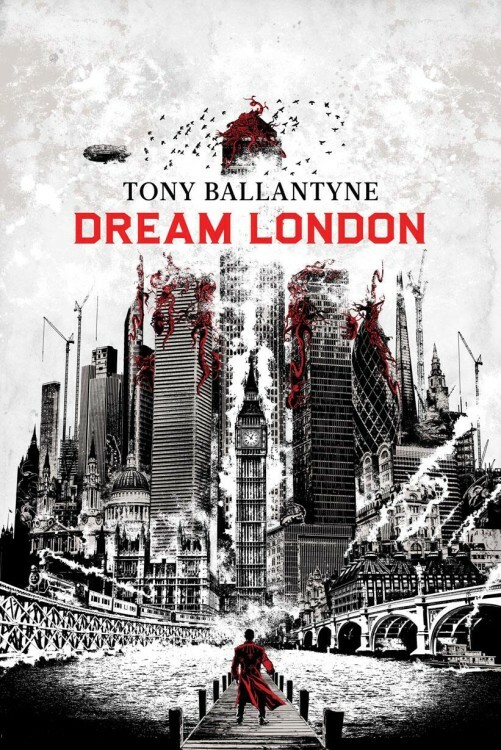 Beautiful cover for “Dream London.” Dream London will be published on 29th October, 2013 — just in time for Halloween. Captain Jim Wedderburn has looks, style and courage by the bucketful. He’s adored by women, respected by men and feared by his enemies. He’s the man to find out who has twisted london into this strange new world, and he knows it. But in Dream london the city changes a little every night and the people change a little every day. the towers are growing taller, the parks have hidden themselves away and the streets form themselves into strange new patterns. there are people sailing in from new lands down the river, new criminals emerging in the east end and a path spiralling down to another world. Everyone is changing, no one is who they seem to be. The other Grandmaster of steampunk, Jules Verne is probably known for the Nautilus and Captain Nemo in Twenty Thousand Leagues Under the Sea with War of the Worlds coming in a close second. No, War of the Worlds was written by H.G. 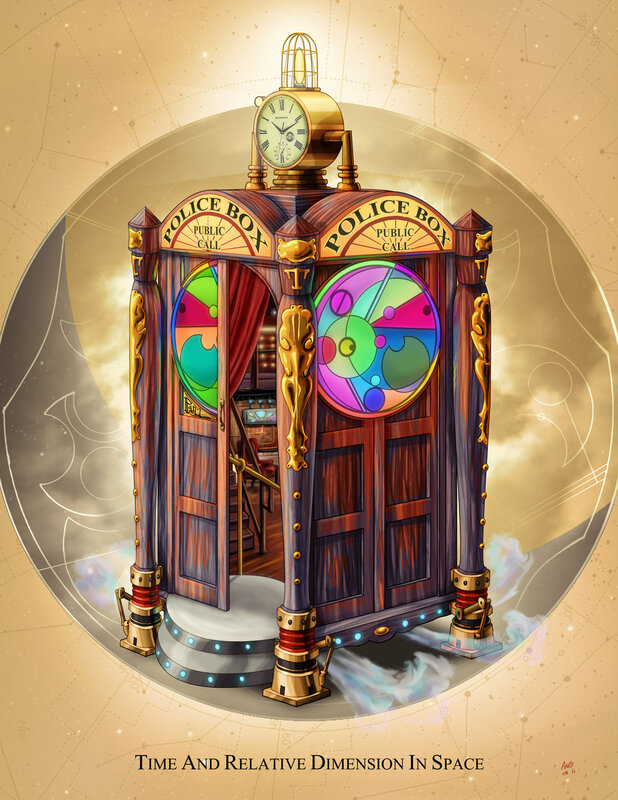 Wells, if you can’t properly identify the works of a “Grandmaster of steampunk” how can we trust your knowledge of either steampunk or magic? 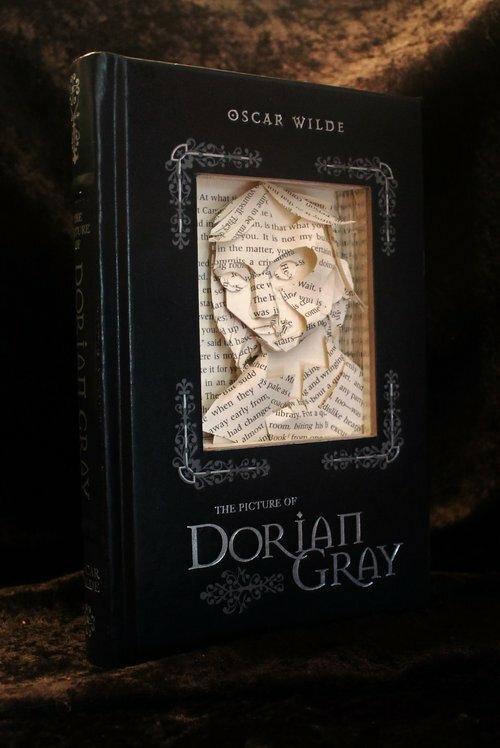 The entire book has that look and feel of “gluing gears on it and calling it steampunk.” Ironically, the book begins with a Crowley quote, “To me a book is a message from the Gods to mankind, or if not, it should never be published at all.” I think that this one lands in the “should never be published” category. 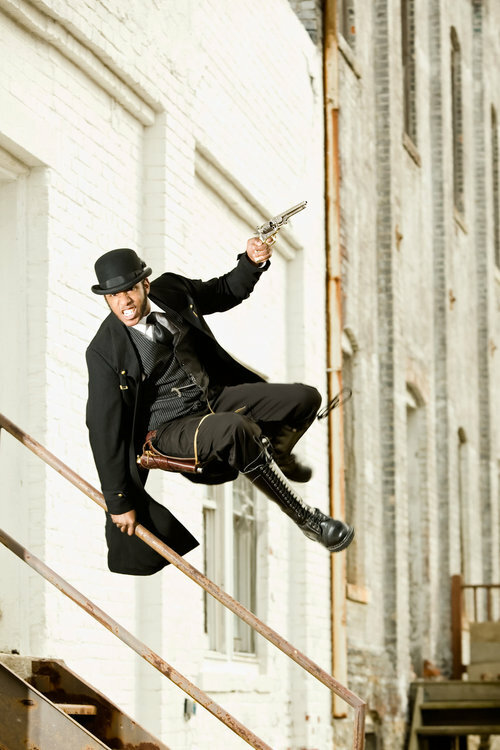 It seems to me that most of the steampunk material can be found with a simple Google search. For example, a list of conventions can be found on this blog. I wanted to like it, but I just don’t see the bang for the buck in this book. Give this one a pass … 2 stars out of 5. Professor Elemental – This Is My Horse (show me yours). Author Barry HuddlestonPosted on April 26, 2013 Categories UncategorizedLeave a comment on Professor Elemental – This Is My Horse (show me yours). “I am made of this.” In a Victorian mechanical and eldritch London, a black arts surgeon is ripping out the bones and organs of healthy poor folk to transplant into the afflicted bodies of the wealthy. Anti-vivisectionists battle with medical doctors, medical doctors condemn supernatural practitioners, and amidst it all the Bone Stealer hunts for his most elusive prize yet: the skeleton of a woman over six feet tall. Secret Commission agents Art, the artificial ghost, and Jim Dastard, the animated skull, rush to stop him before another woman dies. And Art, only six days living after being resurrected to serve the Secret Commission, might be that woman. Another enjoyable read from Elizabeth Watasin. As you may have taken away from my earlier reviews, I love dark Victorian stories and Watasin knows how to tell a dark tale. Smoke grew thick in the afternoon air of London. Airships sailed, one after the other, in the skies above the fog and ash while the streets below congested noisily with omnibuses, cabs, and wagons. Once again, we follow the exploits of Art (an artificial ghost) and Jim Dastard (an animated skull) as they battle evil in Victorian England. 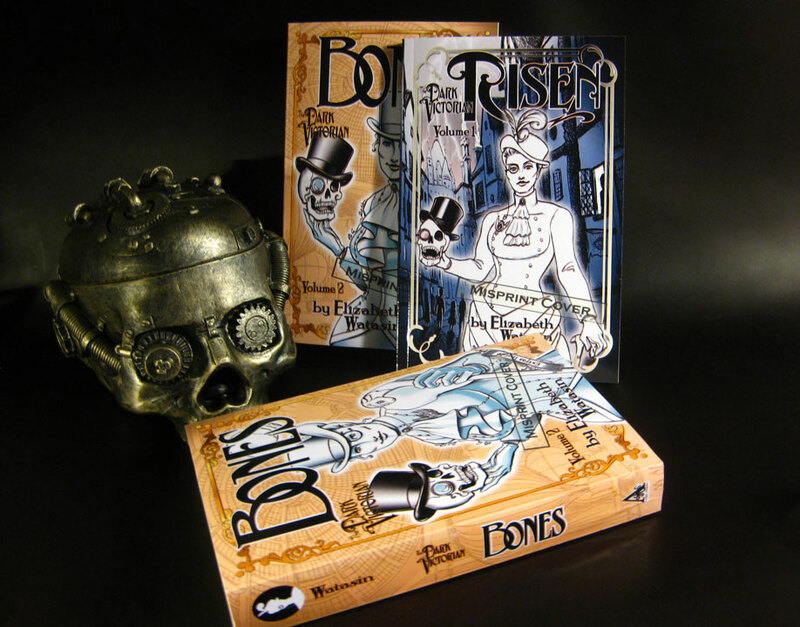 While this book is the second in a series, The Dark Victorian: Bones really stands on it’s own. 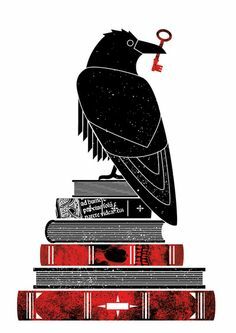 Having said that, I do suggest reading The Dark Victorian: Risen and I think reading the “Author’s Notes” in the back of the book will help with the setting and the characters. All in all, I give The Dark Victorian: Bones 5 animated skulls out of 5. 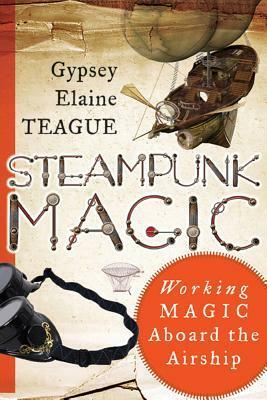 I think that it is a must-have for your steampunk home library and for those of you who are still on the fence I have only two words for you — squid battle!